We actually celebrated Valentine's Day yesterday, because the kids go to Catholic school, and Ash Wednesday happened to fall on Valentine's Day this year for the first time since 1945. This year we will be fasting for Lent by giving up negative thoughts/words. We are going to give up hurting words and replace them with KIND words. Hopefully this continues long past the 40 days of lent and becomes a habit. We are also going to try to give back more over the next 40 days. Today, I am starting the #40bagsin40daychallenge that Anne-Marie over at White House Black Shutters hosts every year during Lent. 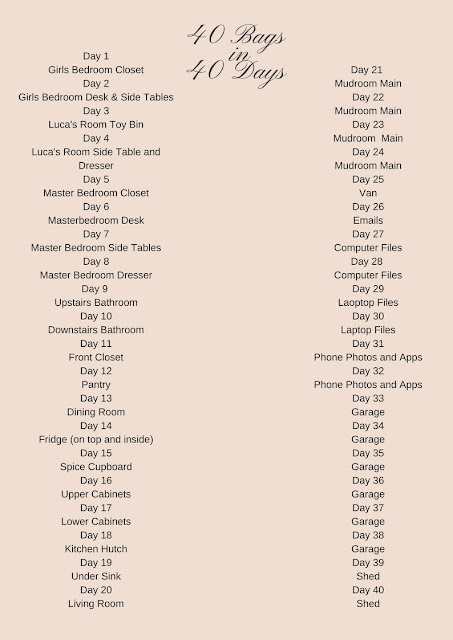 You can head over to her blog to learn more about the challenge, but basically everyday for 40 days, you pick one area of your home to declutter. This is a great way to get your home ready for Spring and give to those in need at the same time! Here is a link to her challenge. 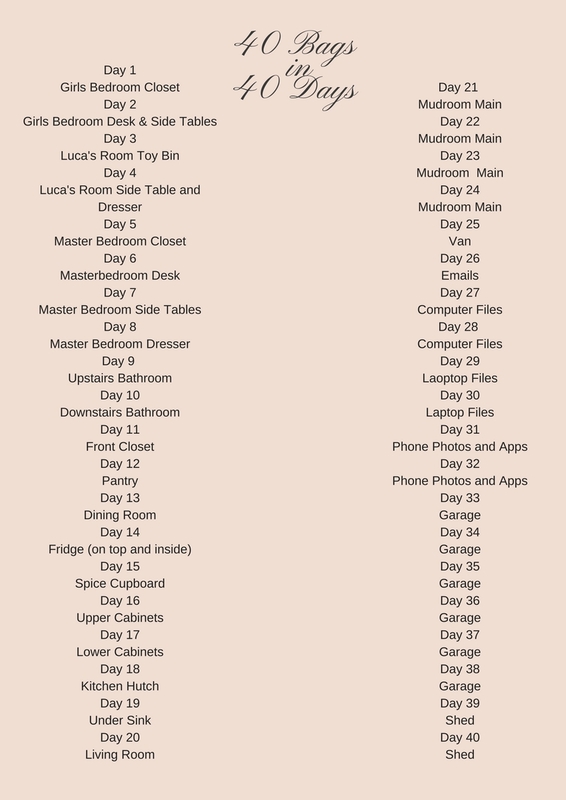 She has a great printable but I created my own list of rooms/items I will be decluttering over the next 40 days! I am also going to be starting a NO SPEND CHALLENGE in March - so stay tuned for that! I hope you guys participate and follow along! I will be sharing here on the blog, instagram, twitter and facebook using the White House Black Shutters Hashtag #40bagsin40days.